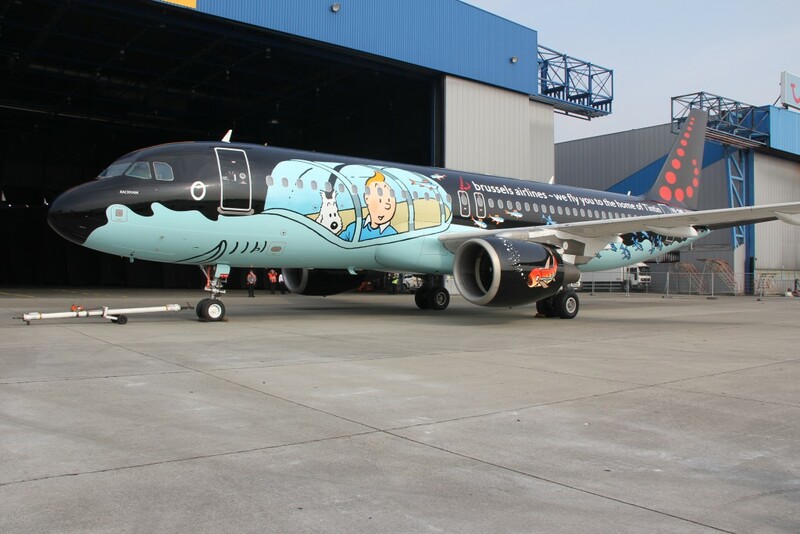 Today Brussels Airlines and Moulinsart unveiled something never seen before: an Airbus A320 with a livery inspired by the Belgian cartoon character Tintin. Both Belgian companies have worked several months on this unique project, based on the original drawings by the hand of Hergé. The result is a 37m long black shark, based on Professor Calculus’ shark submarine from the Tintin adventure, Red Rackham’s treasure. 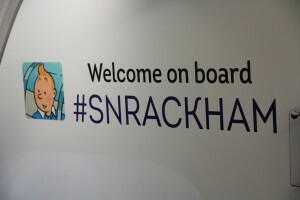 The aircraft was baptized “Rackham”. 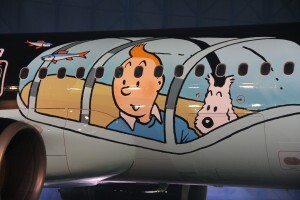 On the fuselage we read:”We fly you to the home of Tintin”. Brussels Airlines wants to be a proud ambassador for Belgium. The airline wants to promote the many Belgian talents in the world, just as it does for the Belgian gastronomy with its Belgian Star Chefs program, its large offer of Belgian products on board its flights, its partnership with the Belgian national football team The Red Devils and the world’s largest music festival Tomorrowland. 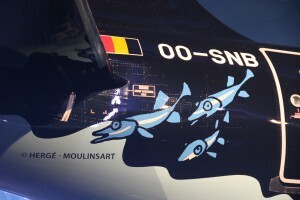 For the painting of the aircraft, Brussels Airlines worked with the aircraft paint artist Andre Eisele, who had the challenging task to adapt the perspective of the drawings prepared by Moulinsart’s graphic designers to the unusual curves of an aircraft fuselage, to get as close to the original shark submarine design as possible. The entire paint job took 1500 man hours in total.